By LUDWIG VON KOOPA - Ludwig's personal endorsement. With a ton of exclusive screenshots. This week's Splatoon Splatfest theme is Pirates vs. Ninjas! That's a very age-old question that's been debated by people on the Internet (and I think even pre-Internet). And at least among gamers, ninjas are by far more popular. Probably 'cause of Japanese origins. But, there's a new Splatfest rule: Score is now Popularity % + Wins * 6, instead of + Wins * 4. This means that the outnumbered (but perhaps more skilled) pirates may still come out on top. Ahahaha! Made you look after the page break! You're in our trap! Why Team Pirates? Well, again, I don't feel particularly strongly either way. I detest pirates as it relates to the Barbary pirates and software piracy. Meanwhile, I think Ninja Pig Studios just pumps out crap. We've actually had a ninja guest-post for us before, but it was one of those "interesting" posts and not about ninjas. And to think I was really good friends with the Koopa Brothers. King Dad really enjoys the pirate stuff, though. Why aren't there other ninja Koopas besides the Koopa Bros.? You think, hey, ninjas are all stealthy and stuff. And Koopas can hide in their shells from view. Except ninjas are also supposed to be speedy, and Koopas... aren't. Sad to say. 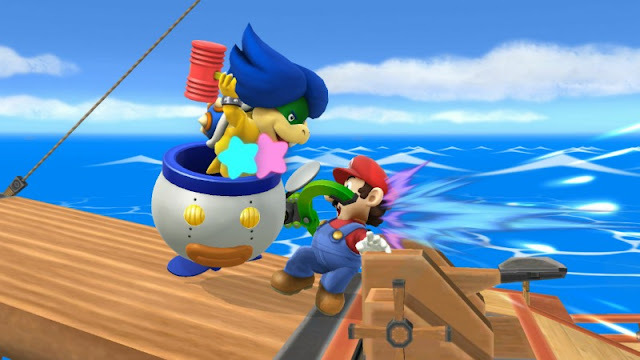 Literally all I did during my stint as a Sneaky Lying Cheating Giant Ninja Koopa was help kick a door down. Lame. When I look at ninja garb (when you're not just wearing a headband), sometimes I think of, like, the burqas that Muslims have to wear. I guess it depends on your ninja, but I really don't think it's too good of a fashion statement. 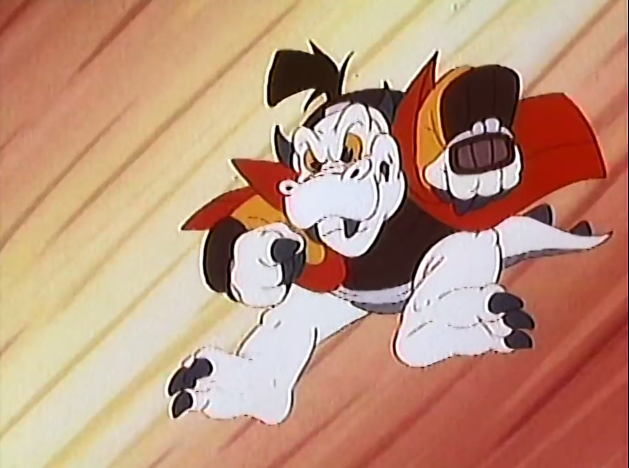 King Dad's "Karate Koopa" outfit is super sweet, though. This needs to be a costume in Super Smash Bros.
For some reason, Karate Koopa commanded an army of very competent Ninji that were defeated by a variation of Kung-Fu. Meanwhile, pirates are always lookin' pretty fresh. Examples include the Elite 4 member Drake from the Hoenn region of the Pokémon League. 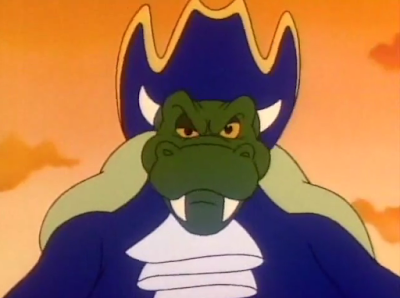 There's also Kaptain K. Rool and the whole Kremling cast of Donkey Kong Country 2, which is by far my favourite iteration of those Kremlings. 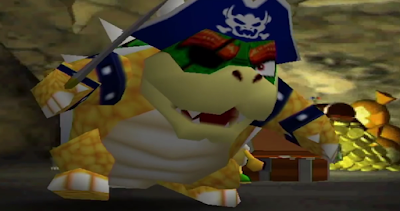 Then there's the Pirate King Cortez residing over Pirate's Grotto in Paper Mario: The Thousand-Year Door. He's not stylish in a fashion sense, but he's stylish in his actions. And then there's my favourite pirate of all, Tetra of The Legend of Zelda: The Wind Waker. And not just because of her domineering personality, though that's a contributing factor. Since she's my favourite pirate and my pirate role model, what better way to test out my pirate skills than to plunder her pirate ship? Besides, Zelda is confused about which team she's really on, so I'll make the decision easy for her. She won't mind. I even got a new flag on it. 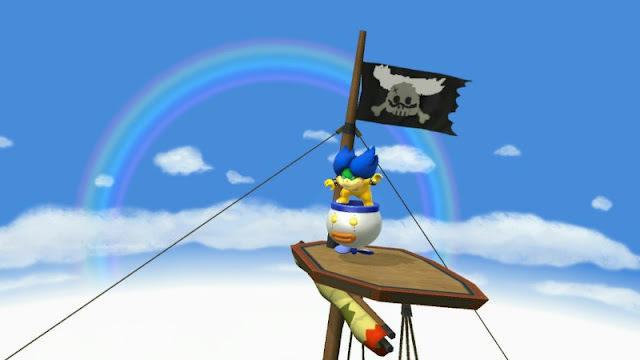 Hey, this pirate ship reminds me of my support of airships! Look! We're flying! If only Falco were here. Unfortunately, a certain total jerk decided to harass me. Is he a member of Team Ninja? King Dad had the same problem before! Well, time to blast this plumbing punk with my own cannon ball! FIRE! 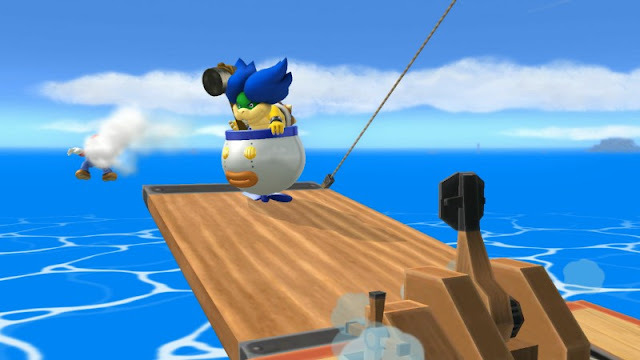 Well, one way or another, that plumber got on my ship. You know, one thing I like about pirates is that they deal with stowaways in a manner that is a lot more... fun. I got you now, plumb-scum! You thought you could hide from me? If that's the skill of Team Ninja then we're going to sink 'em! You know, just assassinating people isn't as fun as toying with them and watching them struggle helplessly. Ahahaha...! I'll admire that it's cute the red-hat boarded my ship on the King of Red Lions, but there's nothing close to feline about this fatty. ...Ignore anything you may have heard otherwise from Super Mario 3D World. Now get off my ship, you fat lug! FIRE! That felt good. Yeah, I think I'll stick with Team Pirates. For the style and the pleasure. That said, just want to put it out there that I'm not a fan of water. But hey, I can be a pirate from my lovely Doomship, can't I? Eh, this isn't befitting of a prince of my stature. The truth is that both pirates and ninjas are inferior to magicians. Gotta put the good word in for our Magikoopas, and the Koopalings' own stints with our magic wands. With magic, we can do anything ninjas can do with a fraction of the effort! And we can do anything pirates can do, but even cooler. That said, of the available options, Team Pirates is the way to go. 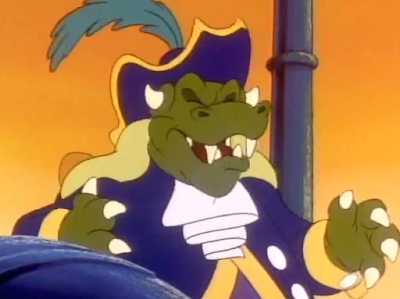 King Dad says: Join Team Pirates this Splatfest, all day October 31! By the way: No word on the European Splatfest. I guess they're forever going to be on a different schedule. I wonder which Splatfest theme they'll steal this time. They're practicing their piracy! 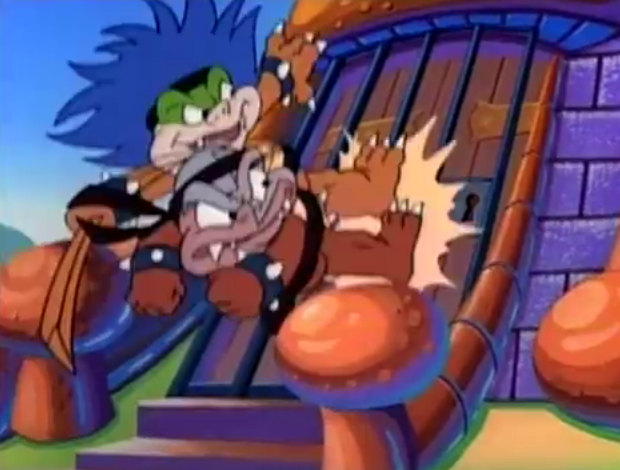 If Ludwig actually had an important role as a Sneaky Lying Cheating Giant Ninja Koopa, he might have chosen differently. Or if the Ninja Koopas were around to lobby him. Anyway, for updates come Saturday on Ludwig's Splatfest progress (plus other things as well), be sure to give Ludwig a Follow on Miiverse at NNID PrinceOfKoopas! He's going to post something at least once every three weeks. It turns out that the next Splatfest took a lot longer than three weeks to start. This Splatfest was all about costumes, but THIS Splatfest pits costumes against fancy wear. Ludwig is later turned into a pirate to fight off Toad ninjas in Paper Mario: Color Splash, proving this article spot-on. Which dedicated pirate game best captures the pirate essence? There was an entire tournament for Splatfests dedicated to ninjas. It sucked. Ludwig later contradicts his statement at the end of this article about magicians. I wish we got Money/Love like in Japan. It would have been interesting to see the results. I don't know who I'd vote for in that circumstance. It'll still be interesting to see Japan's results, though. Yes, my reverse psychology worked... I mean I really thought you will go with Ninjas at first because of the whole software piracy thing but as time went on and you were still not making a decision and you were not convinced by that Miiverse user on that post you made I sort of felt you will go with Pirates. With Pirates obviously being much less popular we may be more likely to bump into each other on the same team, at least until the disconnect separates us again. Due to my scheduling I will only be around after 6:30 PM on Saturday. I never had a royalty rank before even though I got very close a couple of times before time was up. It's just way to frustrating with all those increased disconnects. If we do bump into each other I am going to be very nervous about letting you down if we lose matches. If you fall apart due to anxiety I'll throw ye off the plank, matey. Yarr, there be no mention of Ace Attorney and Sasha Buckler! 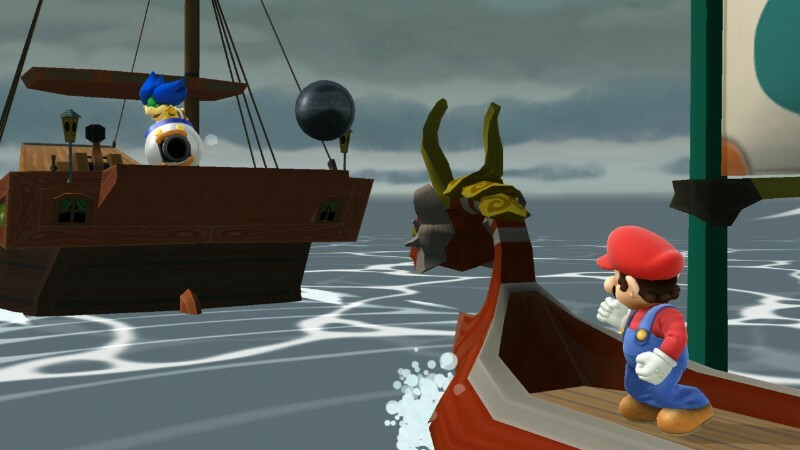 Aye, but ye mentioned one 'o me favorite Zelda characters, so ye won't be walkin' th' plank today, me hearty. Sasha Buckler isn't one of my favourite pirates. I adore her leggings. That's it. Is she really a pirate, though? 'Course Cap'n Orla be a pirate! That's why she be called "Cap'n Orla"! She be as much a pirate as Sasha. I dunno man, it's just an orca with a pirate hat. Aye, but th' show be called "Cap'n Orla Swashbuckler Spectacular." It be named after her, ye scallywag! What be a pirate crew wi'out their cap'n? Pft, we don't need Orla. We have Ora. Don't Like Smurfing? Abolish Gun-Free Zones!